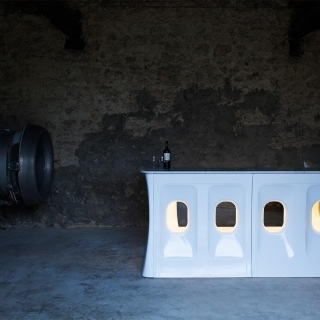 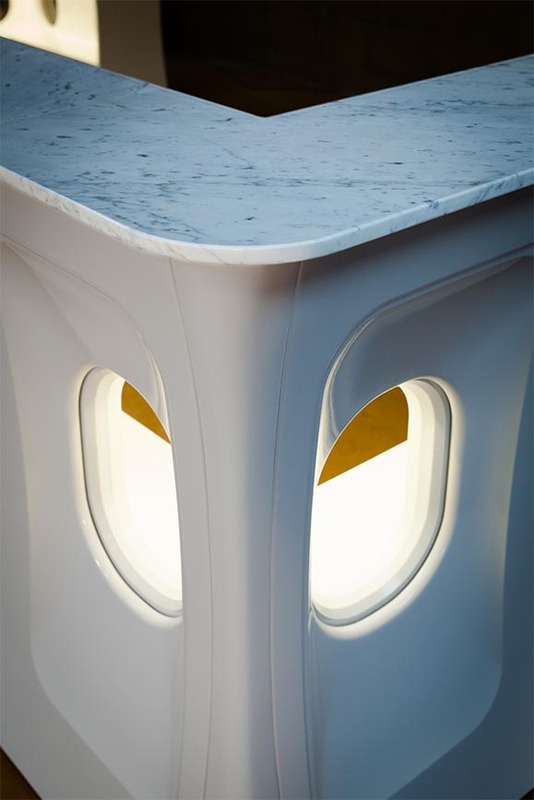 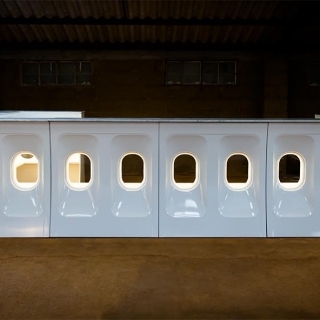 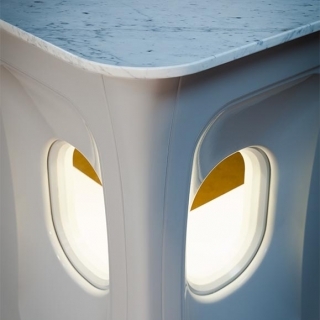 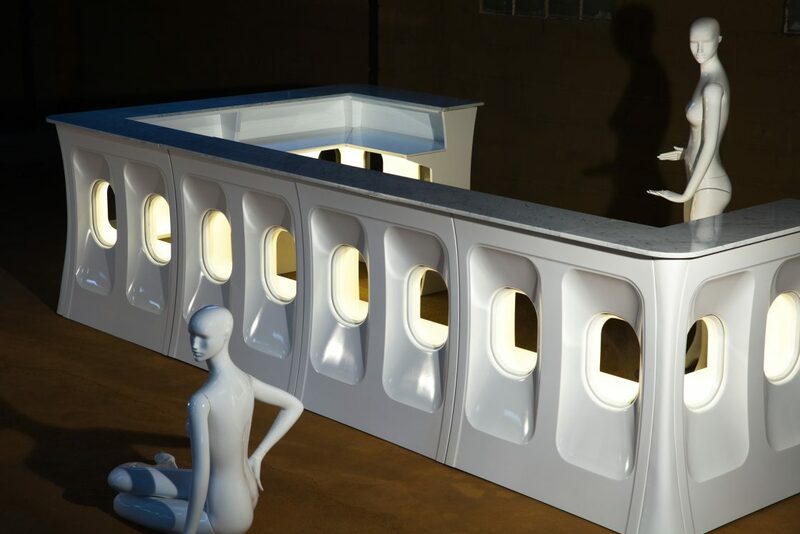 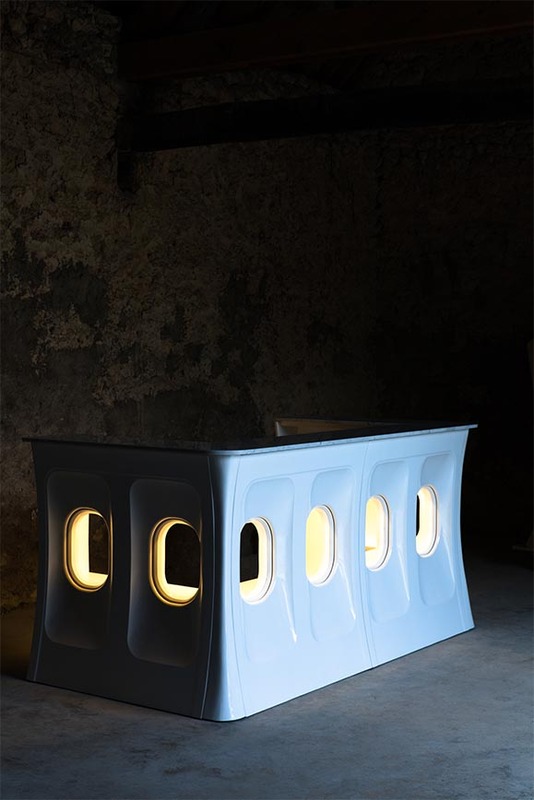 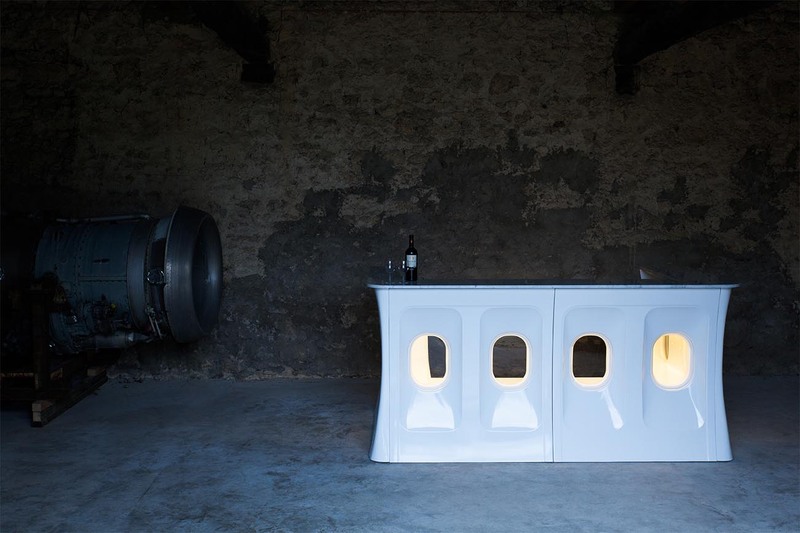 Designed based on the window-panel equipping the Airbus A340 familly, Julien Recours draws in the spatial properties of the aircrafts interiors in using this window so familiar, symbolic and evocative of the aerian journey. 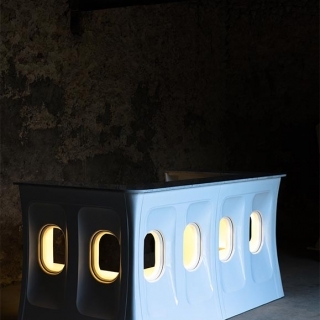 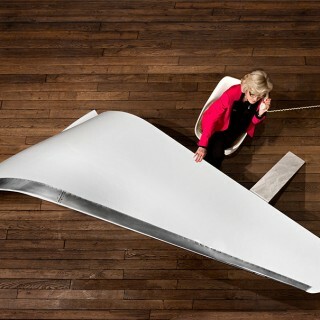 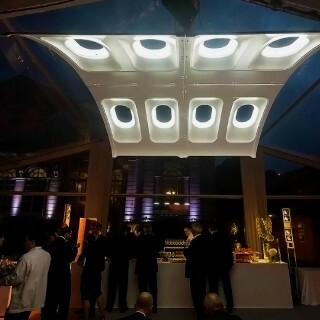 The repetition of this panel/pattern create this quiet ambiance and lightness, remembering the unique and intimate atmosphere of a night flight when illuminated. 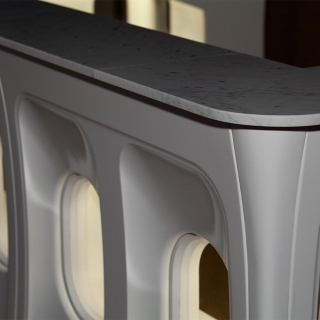 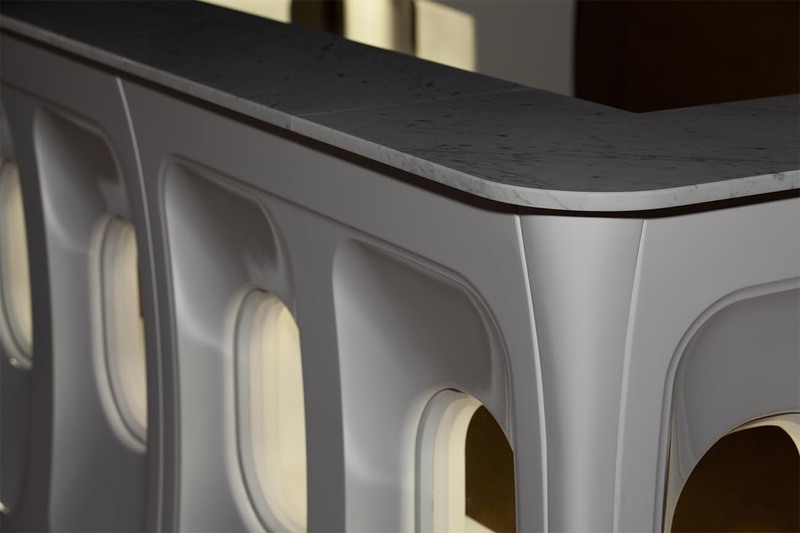 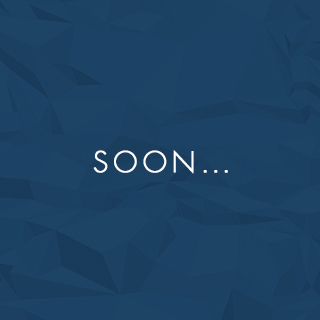 F-BAR is capped with Carrara marble, granit, or wood work surface.